With trouble in Karnataka government mounting every day, noted astrologer SK Jain observed that the trouble was due to the Cabinet expansion that took place on December 22 which according to Hindus is considered an inauspicious time. 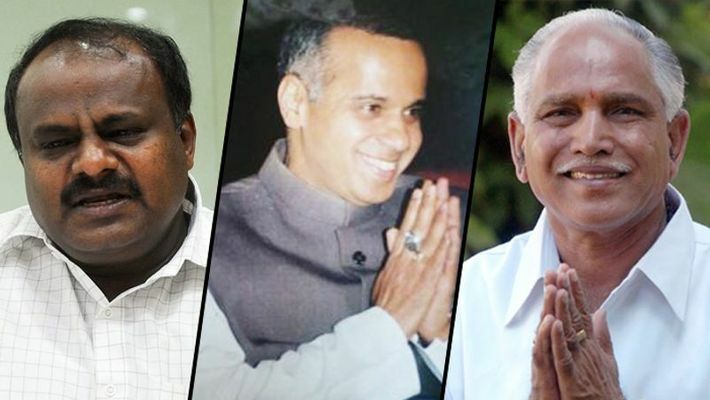 Bengaluru: Could Karnataka's trouble with its administration and existing political setup be due to the expansion of the Cabinet by inducting 8 Congress legislators into the cabinet during 'Dhanur Masa' (inauspicious time)? The date, December 22, for the Cabinet expansion fell in an inauspicious month. According to the Hindu community, the inauspicious month from December 15 to January 16 will not be favourable to communities in the south if they take any decision pertaining to marriage, construction, purchase of homes, and especially political decisions. Although Congress was hell-bent on the expansion, the JD(S) was reluctant as JD(S) Supremo HD Deve Gowda and his son Revanna were against the idea of it taking place at the time. The JD(S) has been known to be superstitious and there was speculation that the JD(S) would try to delay the Cabinet expansion until the end of the Lok Sabha election. Nevertheless, the Kumaraswamy-led government decided to proceed with the Cabinet expansion, bearing in mind that delays could be construed as a political move in favour of the JD(S) after surmounting pressure by their coalition partner, the Congress. "The turmoil in the government is due to a political decision taken during Dhanur Masa. However, this turmoil will soon end and there will be a stable government. On January 20 the lunar eclipse will end and so will the misfortune of the Karnataka administration," said SK Jain, astrologer.